HMMH led the efforts for a Part 150 Update at Akron–Canton Airport; HMMH also provided the noise analysis for the Airport Master Plan Update. The objective was to provide the airport with coordinated development and noise compatibility plans to address airport needs for at least the next decade. 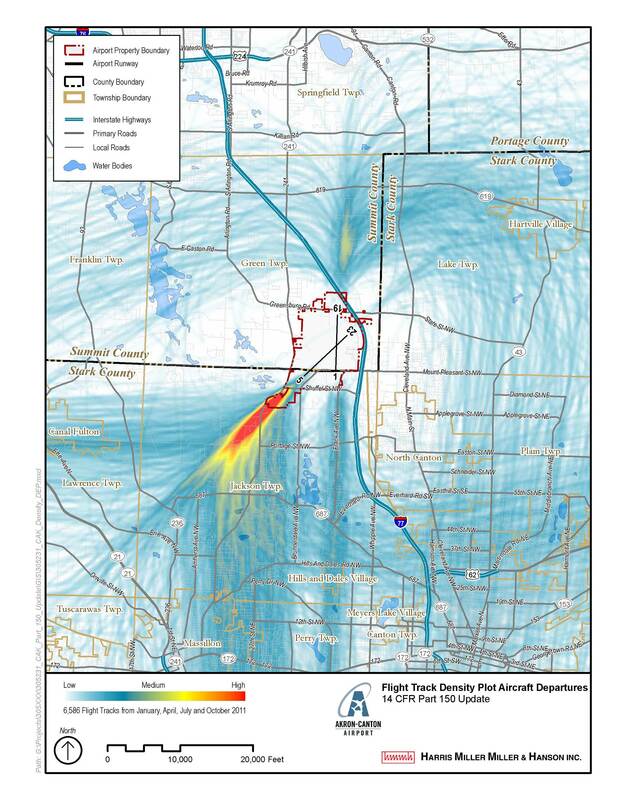 The Noise Exposure Map (NEM) and Noise Compatibility Program (NCP) update involved a wide group of stakeholders, including a Part 150 Technical Advisory Committee, the FAA, airport users, local jurisdictions, and citizens. Three public workshops and a public hearing were held. HMMH based noise modeling on detailed analyses of flight operations and radar data. The study included a noise measurement program at six residential sites. The recommended NCP includes enhancements to six prior noise abatement measures and one new measure, an informal nighttime runway use program. The FAA Tower Manager actively assisted in the development of air traffic control Standard Operating Procedures to optimize implementation. 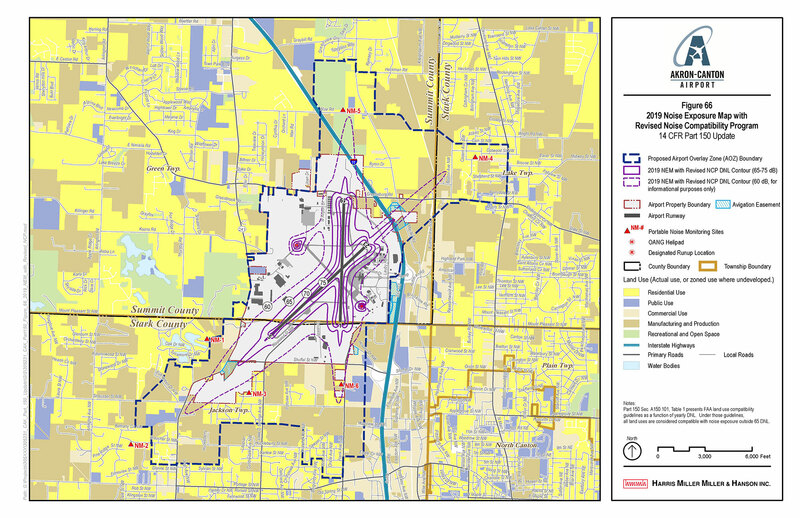 The most significant addition to the NCP was an Airport Overlay Zone (AOZ) that the consultants and airport staff developed in close consultation with surrounding land use jurisdictions. Each jurisdiction agreed to provide advance notice of proposed changes in land use and zoning within the AOZ, to ensure the airport has the opportunity to identify and comment on any potential compatibility issues including noise, height or other matters.